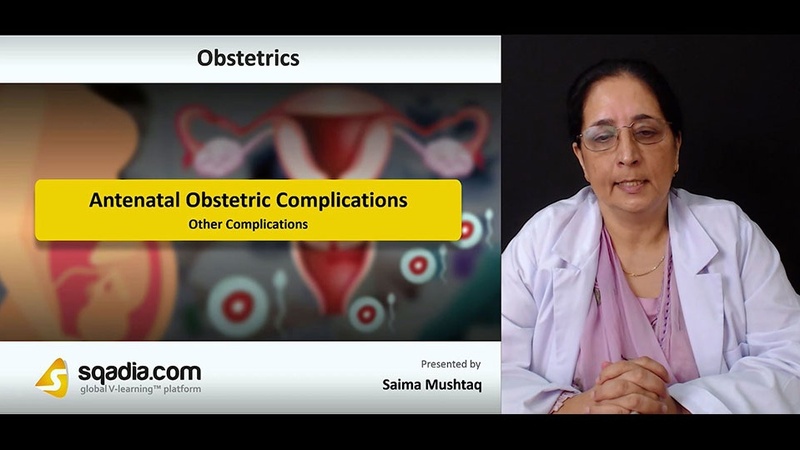 The following lecture addresses the topic of Antenatal Obstetric Complications. In section one of this lecture, the educator sheds light on Musculoskeletal Problems. Various Musculoskeletal Problems are elucidated which include Backache, Symphysis Pubis Dysfunction and Carpal Tunnel Syndrome. Section two presents information regarding Gastrointestinal and Other Symptoms. In this section, the educator begins by explaining Constipation and Hyperemesis Gravidarum as major Gastrointestinal complications. Moving forward, the educator extensively speaks about many other such complication which include Gastroesophageal Reflux, Haemorrhoids, and Obstetric Cholestasis. Moreover, light is also shed on disorders such as Varicose Veins and Oedema. Section three focuses on Abnormalities of Pelvic Organs. 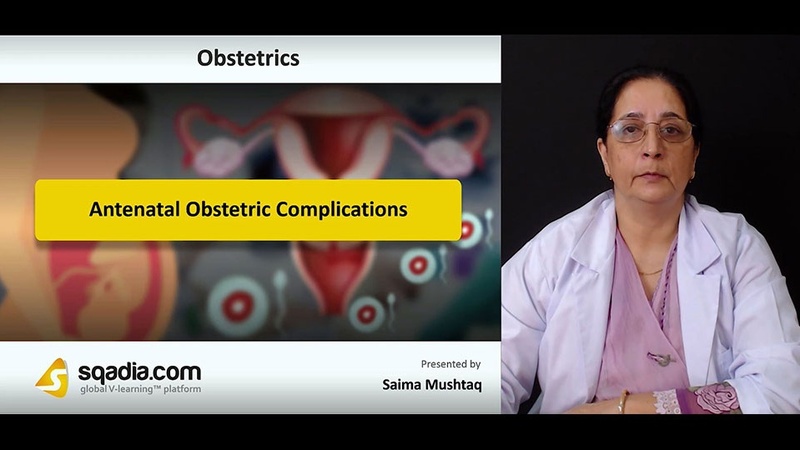 At the start of this section, the educator highlights Fibroids (Leiomyomata) after which light is shed on Retroversion of Uterus and Congenital Uterine Anomalies. In addition, diseases such as Ovarian Cysts and Cervical Cancer are peculiarly reported. Section four focuses on the explanation of Venous Thromboembolism. The educator brings to light a thorough elucidation of Venous Thromboembolism. After this, an overview Thrombophilia is provided followed by a demonstration of Deep Vein Thrombosis and Pulmonary Embolus. 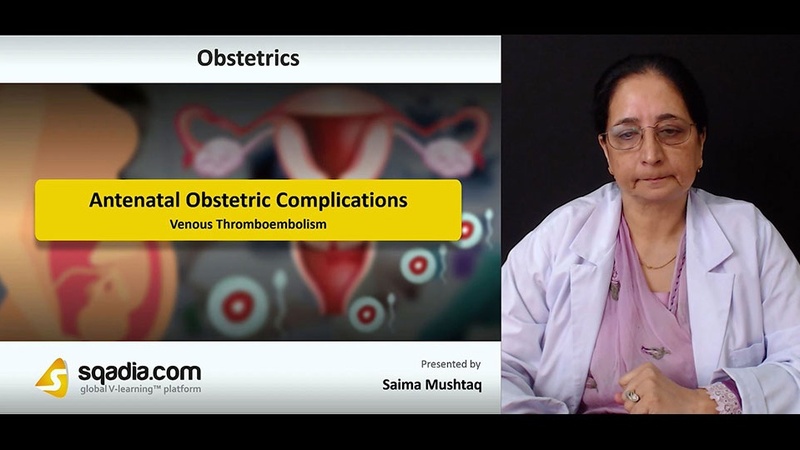 At the end of this section, the educator discusses Treatment of VTE and sheds light on its Prevention in Pregnancy and Postpartum. In section five, the educator speaks about Other Complications that can take place. Many different complications of this category are highlighted which include Urinary Tract Infection, Pyelonephritis, and Abdominal Pain.